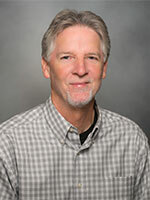 Christopher D. Jensen, PhD, MPH, is a staff scientist at the Kaiser Permanente Northern California Division of Research. He received his doctoral training in Epidemiology at the University of California, Berkeley, School of Public Health. Before his position at the Division of Research, Dr. Jensen served as a Research Specialist and Lecturer at the University of California, Berkeley, School of Public Health, and before that worked in research and development in the private sector. Dr. Jensen is a cancer epidemiologist whose research interests primarily center around optimizing the process of screening for cancer, particularly colorectal cancer. Author(s): Singal AG; Corley DA; Halm EA; et al. Am J Gastroenterol. 2018 Feb 27. Cancer Epidemiol Biomarkers Prev. 2015 Sep 16. J Comp Eff Res. 2015 Jul 23:1-11. Gastrointest Endosc. 2011 Sep;74(3):656-65. Epub 2011 Jul 13.